Welcome to Wheelchair Taxi Thailand, the first Hua Hin Taxi Service for disabled people, wheelchair users and their companions. Wheelchair Taxis Thailand is dedicated to provide you with safe transportation and the genuine Thai hospitality from the moment you make your reservation till the moment you reach your destination. We firmly believe in the philosophy that people don't care how much we know till they know how much we care. 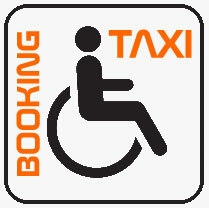 With this in mind you, as a Wheelchair Taxi Thailand customer, are our top priority .